The Seahawks tendered McKissic a contract for 2019 on Wednesday, John Boyle of the team's official site reports. Analysis: McKissic spent the first 11 games of last season on injured reserve due to a knee issue and only notched three rushing attempts for eight yards during the five regular-season games he was healthy. He'll spend the offseason working to earn a passing-down role behind top rushers Chris Carson and Rashaad Penny. McKissic caught two of three targets for 13 yards and a touchdown in Saturday's wild-card loss to the Cowboys. McKissic played just one offensive snap and didn't log a carry or target in Sunday's win over the Cardinals. Analysis: McKissic didn't record more than three offensive snaps in a game since returning to action in Week 13, but he garnered three carries, including one in the red zone, during that span. The third-year pro's main contribution to the team is on special teams, and that will likely continue into the playoffs, starting Saturday versus the Cowboys. McKissic took his lone carry for six yards during Sunday's 38-31 win over the Chiefs. Analysis: That makes three touches in four games for McKissic this season, with all of them coming in the last two weeks. 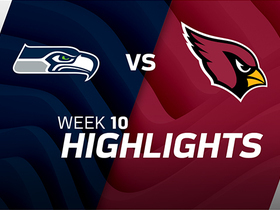 The second-year back is unlikely to play anything more than a minor supporting role behind Chris Carson, Mike Davis and Rashaad Penny (knee) in Week 17 against the Cardinals and any postseason contests to follow. McKissic ran for two yards on two carries during Sunday's 26-23 loss to the 49ers. Analysis: The low-end output came after two touchless games and a season otherwise lost to a foot injury. The Seahawks have a pretty crowded backfield, and so even minimal action for McKissic likely depends on the health of rookie first-round pick Rashaad Penny (knee), whose status is up in the air for Sunday's game against the Chiefs. If Penny is out, McKissic figures to get a handful of touches against the league's worst run defense, which is surrendering 5.0 yards per opponent carry. McKissic received one target in Sunday's win over the 49ers. Analysis: The third-year pro was activated from injured reserve earlier in the week after missing the first 11 games due to a foot injury. Despite the Seahawks holding a substantial lead for the majority of the game, McKissic didn't get a look until midway through the fourth quarter. McKissic's strong suit is the passing game, but Chris Carson, Rashaad Penny and Mike Davis have showed the same ability out of the backfield. He'll likely be used for a mere change of pace moving forward. The Seahawks activated McKissic (foot) from injured reserve Wednesday, Field Yates of ESPN reports. McKissic (foot) could return to the Seahawks' active roster in the next couple of days, Bob Condotta of The Seattle Times reports. Analysis: McKissic's agent sent a tweet Tuesday vaguely indicating as much, and the Seahawks have yet to make a corresponding roster move after releasing Keenan Reynolds. Contrarily, coach Pete Carroll said last week that the 25-year-old may not return until Week 14 against the Vikings (Dec. 10), so at this point, it's anyone's guess when he's actually activated. The rest of the Seahawks' running backs are healthy, so there's no reason for the team to rush his return. 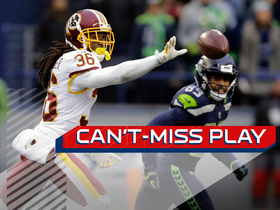 Coach Pete Carroll has been impressed with McKissic (foot) during this week's practices but stressed he may not return until Week 14 versus the Vikings, Brady Henderson of ESPN.com reports. Analysis: Carroll emphasized that while McKissic looked "terrific," there was no reason to rush him back with how well the backfield committee of Chris Carson, Rashaad Penny and Mike Davis was working. McKissic is a dual-threat running back that will make Seattle's backfield even more difficult to figure out. Coach Pete Carroll said McKissic (foot) won't be activated from injured reserve in advance of Sunday's game in Carolina, John Boyle of the Seahawks' official site reports. Analysis: Carroll told Curtis Crabtree of Sports Radio 950 KJR Seattle that McKissic put together a good week of practice, but the Seahawks don't want to press the issue with his recovering foot. Helping the decision-making process is the relative health of the rest of the backfield, as Chris Carson, Mike Davis and Rashaad Penny are all available at the moment. Beyond this weekend, McKissic's next chance to play is Sunday, Dec. 2 against the 49ers. McKissic (foot) returned to practice Monday, Brady Henderson of ESPN.com reports. Analysis: McKissic has officially been designated to return from injured reserve and Monday's return to the field opens a 21-day window for the Seahawks to promote the running back to the active roster. He won't count against the 53-man roster until that point. Given Seattle's lack of a clear receiving specialist in the backfield, McKissic could be in store for a sizable offensive role whenever he's cleared to play. 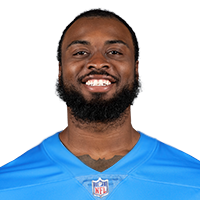 Coach Pete Carroll said Friday that he anticipates McKissic (foot) will be ready to practice next week and potentially play in the team's next game Nov. 25 against the Panthers, Bob Condotta of The Seattle Times reports. McKissic (foot) will not resume practicing Week 11, Brady Henderson of ESPN.com reports. Analysis: McKissic was initially expected to begin practicing Week 11, but will instead remain sidelined as he continues to recover from a broken foot. He's already spent the required eight weeks on injured reserve, and would be eligible to return to Seattle's 53-man roster whenever the team deems him healthy. McKissic will work to get healthy in time for the Seahawks' tilt against the Panthers in Week 12. Coach Pete Carroll said he expects McKissic (foot) to return to practice Week 11, Gregg Bell of The Tacoma News Tribune reports. 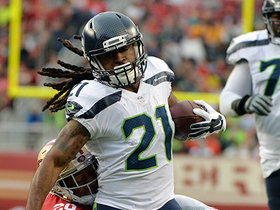 Coach Pete Carroll said he isn't sure if McKissic (foot) will practice this week, Brady Henderson of ESPN.com reports. Analysis: McKissic is eligible to return from injured reserve for Sunday's game in Los Angeles, but it doesn't seem like the Seahawks are expecting him back that soon. He's spent the entire season on IR while recovering from a broken bone in his foot, hoping to eventually handle a small role on passing downs. Coach Pete Carroll said on Monday that McKissic (foot) won't return to practice this week, Brady Henderson of ESPN.com reports. Analysis: After getting off to a slow start on the ground this season, the Seahawks have boasted a 100-yard rusher in four of the last five game. Chris Carson has three of them, while Mike Davis has the other. At the same time, 2018 first-round pick Rashaad Penny has received no touches on two occasions. Thus, there's no hurry to rush the return of McKissic, who is eligible to be activated from IR as early as Week 10 against the Rams. McKissic will be out 4-to-6 weeks after suffering a Jones fracture in his foot, Adam Schefter of ESPN reports. Analysis: McKissic already seemed to be on the wrong side of the bubble in Seattle after rushing just twice for five yards and hauling in three passes for 14 yards through two preseason games. This injury may expedite his departure, as the Seahawks can waive him with an injury settlement or place him on IR to free up a roster spot. C.J. Prosise is left as the main pass-catching threat in the backfield, though his own injury owes could inspire the team to bring in more competition. McKissic rushed one time for six yards during Saturday's 24-14 preseason loss to the Chargers. Analysis: It was the second straight contest in which McKissic earned just one carry, and he was absent in the passing game after notching two catches in the first exhibition outing. McKissic was used again as a return man, fielding two kicks and three punts, but the results weren't anything special and surely won't dethrone Tyler Lockett (foot) as the Seahawks' top returner. McKissic is on his way to becoming the odd man out in Seattle's backfield. McKissic rushed one time for minus-1 yard and hauled in two passes for 14 yards in Thursday's 19-17 preseason loss to the Colts. He also returned two kicks for 59 yards and two punts for minus-1 yard. Analysis: McKissic didn't shine in any category, but he wasn't given much to work with in the ground game either. Furthermore, the third-year pro likely won't be used as a return man during the regular season due to the presence of Tyler Lockett, so those contributions may be negligible. It's a crowded backfield already, so McKissic will need to make a significant impact in the next few games to secure a final roster spot. McKissic signed his exclusive-rights free agent tender, Bob Condotta of The Seattle Times reports. The Seahawks gave McKissic, an exclusive rights free agent, a tender Wednesday, Curtis Crabtree of Sports Radio 950 KJR Seattle reports. McKissic totaled 187 rushing yards and 266 receiving yards through 13 games in 2017. McKissic rushed six times for 20 yards and caught three of four pass attempts for 38 yards in Sunday's 42-7 loss to the Rams. Analysis: McKissic saw just two targets and no carries in the first half, but the Seahawks turned to their pass-catching specialist to try closing the 34-0 gap in the second. The nine touches were the most the 24-year-old has seen since Week 11, and it was his highest yardage output since his season debut in Week 4. With a repeat of the same game situation highly unlikely in Week 16 at Dallas, McKissic remains a low-end fantasy option. McKissic ran for 15 yards on three carries and added five catches for 20 yards during Sunday's 30-24 loss to the Jaguars. Analysis: McKissic led Seattle's backs with 31 offensive snaps Sunday, one more than Mike Davis. He offers special versatility for the Seahawks with his ability to move around the formation and snag passes. McKissic has topped 50 total yards just twice this season, but he's also managed to catch at least four passes in four of his last five games. He doesn't put up enough raw numbers to warrant much consideration in most leagues but could be a PPR-league sleeper. McKissic hauled in a 15-yard touchdown pass and lost a yard on a lone rush during Sunday' 24-10 win over Philadelphia. McKissic had eight touches for 46 yards in a win at the 49ers on Sunday. Analysis: McKissic had seven targets (catching four for 24 yards), which is a bit more than expected. The Seahawks are content to use him in a passing-catch role, though he also has the highest rushing average among the team's running backs at 4.5 YPC. Still, 50 yards seems like his upside, and he hasn't found the end zone since his first game when he scored twice. McKissic rushed for 30 yards on seven carries and added five catches for 23 yards during Monday's 34-31 loss to Atlanta. 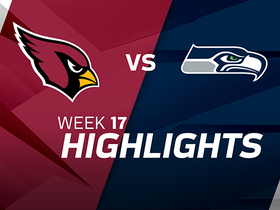 McKissic rushed five times for 26 yards and brought in four of five targets for 20 yards in Thursday's 22-16 win over the Cardinals. Analysis: The rookie saw some extra snaps once C.J. Prosise went down with an ankle injury, and he parlayed the opportunity into career-high totals in carries and receptions. McKissic could continue handling primary pass-catching duties out of the backfield if Prosise remains sidelined for a Week 11 tilt versus the Falcons, and his elusiveness also gives him an opportunity to make the best out of the offensive line's typically substandard blocking. McKissic rushed for 12 yards on three carries and added two catches for 14 yards in Sunday's 17-14 loss to Washington. 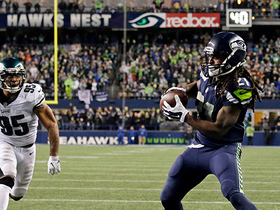 Analysis: McKissic logged 30 offensive snaps on Sunday, just 12 behind lead back Thomas Rawls. The second-year player has a pretty clear role in Seattle, recording five touches in all five of his outings. While he turned heads with two touchdowns in his season debut against Indianapolis, he hasn't scored since and has accounted for just 108 total yards in that four-game span. He's simply a change-of-pace player at this point. 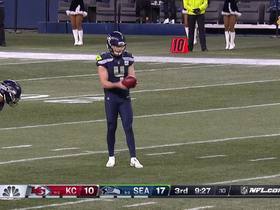 The Seattle Seahawks' special teams swarm Kansas City Chiefs Tremon Smith after punter Michael Dickson's dropkick kickoff. Seattle Seahawks running back J.D. 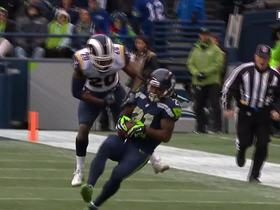 McKissic makes the catch off of quarterback Russell Wilson's tipped pass for a gain of 14 yards. 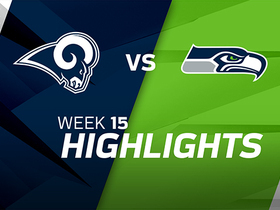 The Los Angeles Rams display a dominant performance over the Seattle Seahawks in Week 15. Seattle Seahawks quarterback Russell Wilson finds running back J.D. McKissic for 26-yard gain. 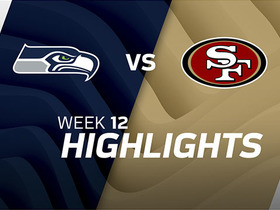 Take a look at the best plays as the Seattle Seahawks traveled to take on the San Francisco 49ers. Seattle Seahawks running back J.D. McKissic spins away from 49ers' defenders for a 12-yard gain. Washington Redskins safety D.J. 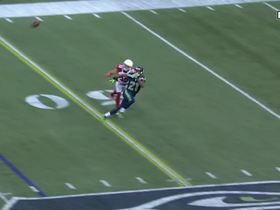 Swearinger intercepts Seattle Seahawks quarterback Russell Wilson on a two-point attempt and a bunch of laterals follow.